MCSA is delighted to announce our new partnership with the Melbourne Brasil Futsal Academy (MBFA). This initiative means better Futsal opportunities for our members, their families, and friends throughout the year. Melbourne Brasil Futsal Academy is more than just an academy providing not only professional futsal coaching to junior players of all levels and skill but also weekly competitions, school tournaments as well as local, national and international tournament opportunities. Head coach Gui Costa is also the founder of MBFA which was established in 2013. 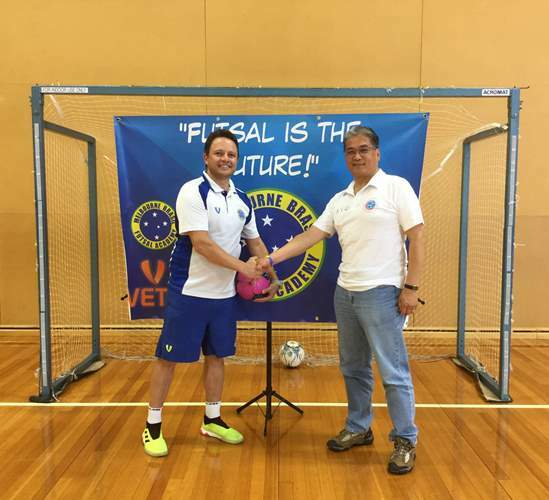 The inspiration for Melbourne Brasil Futsal Academy came from Gui’s Brazilian heritage and his passion for Futsal which he hopes to pass onto as many players as possible. We look forward to working with MBFA to bring Melbourne’s multicultural community together through sport, be active, and make new friends.